Come and join us for an evening of joyful chanting. 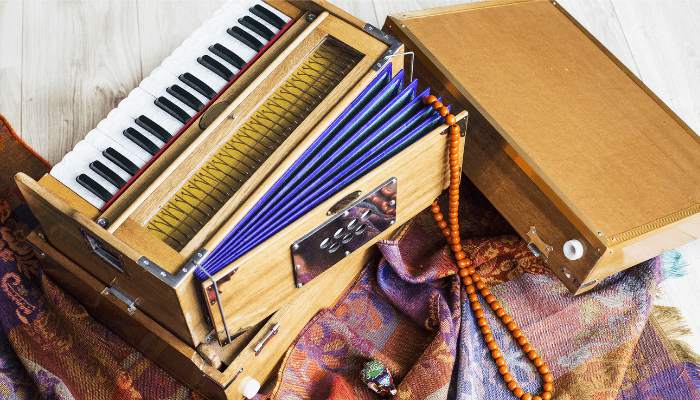 Kirtan is the chanting of mantras and songs, which have a powerful vibratory force and an ability to energise and soothe the body at very deep levels. During a kirtan session you might feel deeply relaxed, energised or even ecstatic. Various types of instruments are used, such as a harmonium and drums. Kirtan needs to be experienced to truly understand the benefits. It leads to an open heart and a sense of connection. You do not need to be able to sing well, or even in tune, you just need to join in! There will be some refreshments available in the Satyam Lounge on the night, so do come along and join us for what will be a feel-good event at Satyam Yoga. Children are welcome and can come for free.